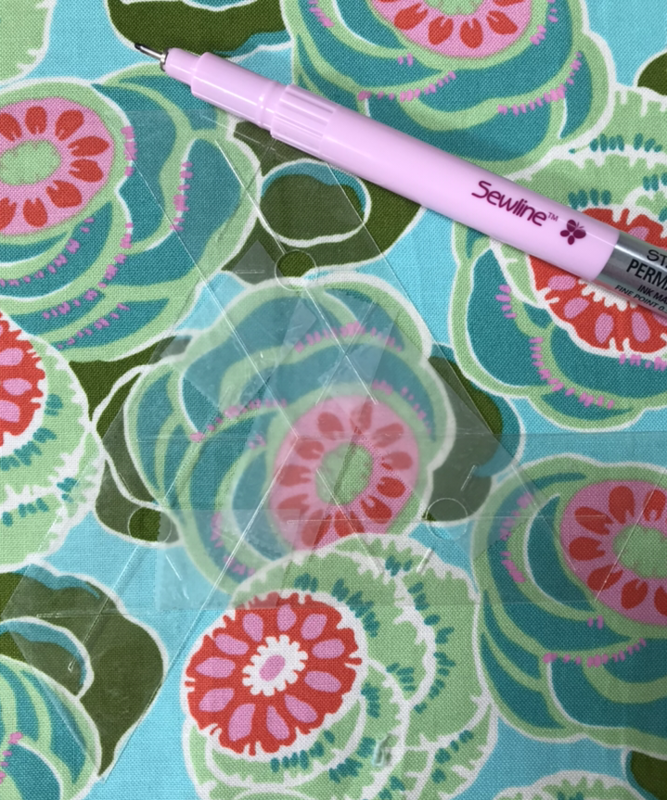 One of the things I love about the clear Eppiflex templates is that they make fussy cutting your printed fabrics so easy. 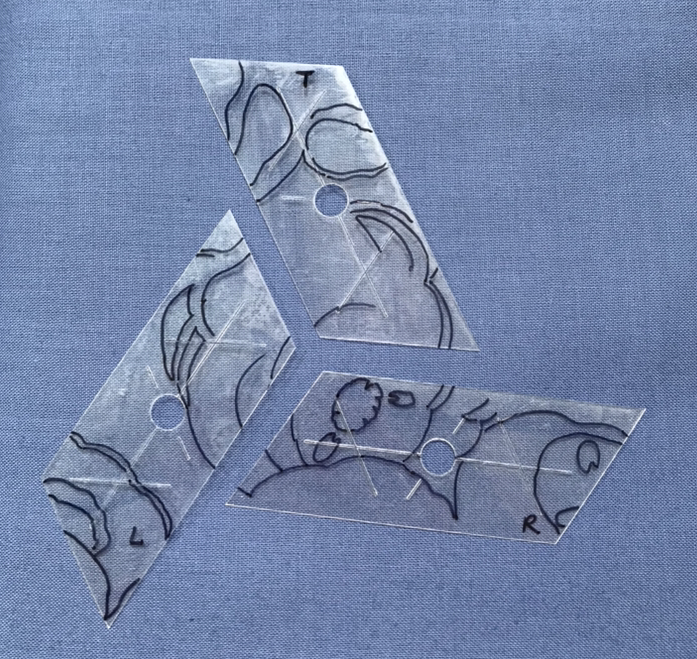 You dont need a separate perspex template to cut the fabric - you can use the template you sew with to make a "mask" of the fabric repeat you want. 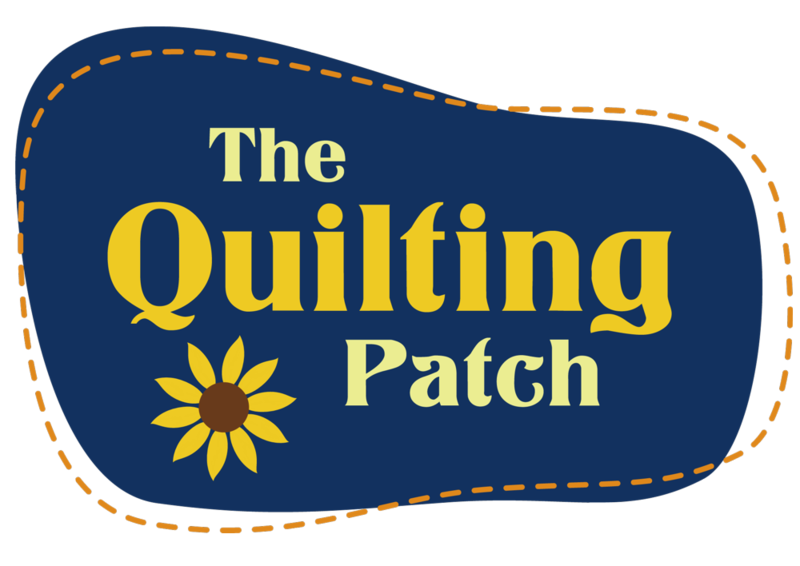 This is something that we demonstrate at Quilt Shows, but I thought it was about time we got it on to the website so everyone can see how I do it. I'm using one of the blocks from the gorgeous New Hexagon Quilt by Katja Marek. Im really enjoying making her design - the small blocks are just right for a busy person and most can be sewn up in just one session. In this block three rhombus meet in the centre of the hexagon. I want to put one flower right in the middle. 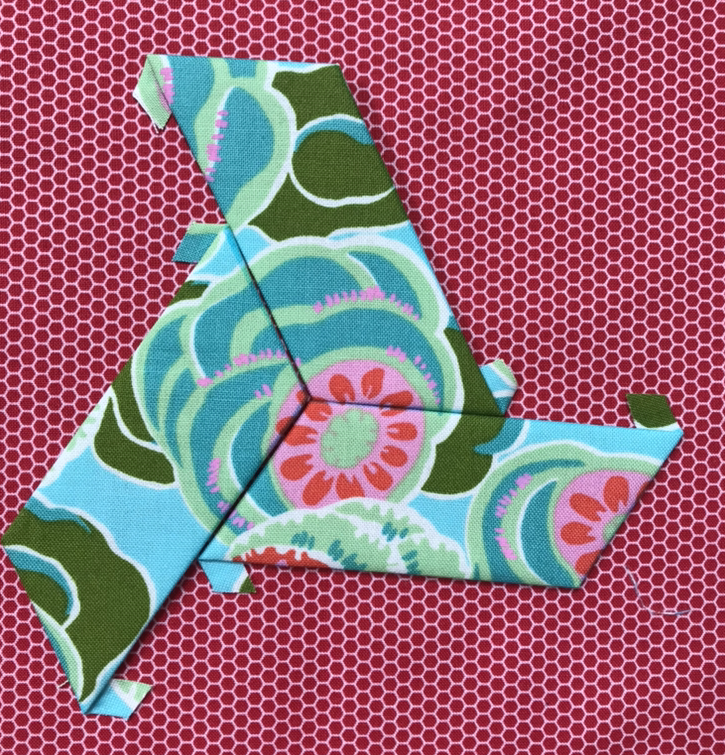 I will need three of the same flowers to make this block. ie three repeats. You'll need the following basic supplies to give this technique a go. Firstly position your templates edge to edge in the pattern they will be sewn together. Flip them face down on a mat, keeping the edges together. In most instances face down will be the same as face up - but in my example here it isnt. 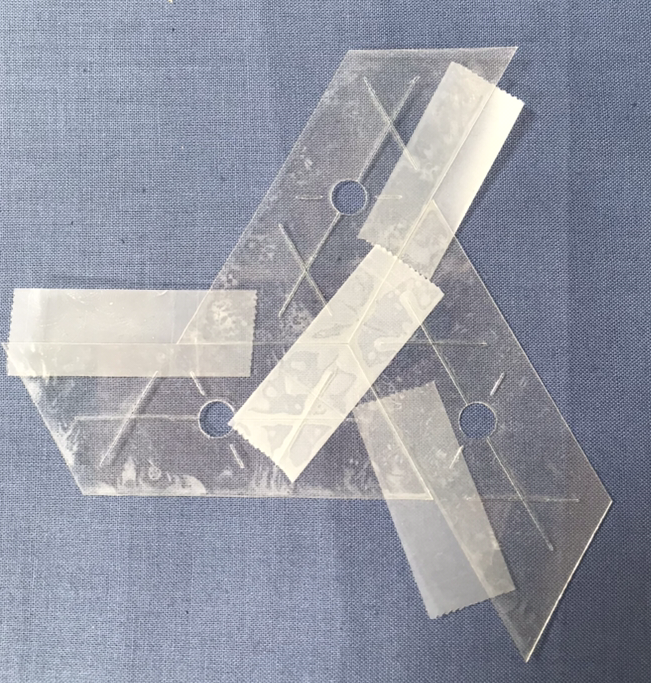 Place a small amount of tape across the edges to hold them temporarily together on the back of the templates. 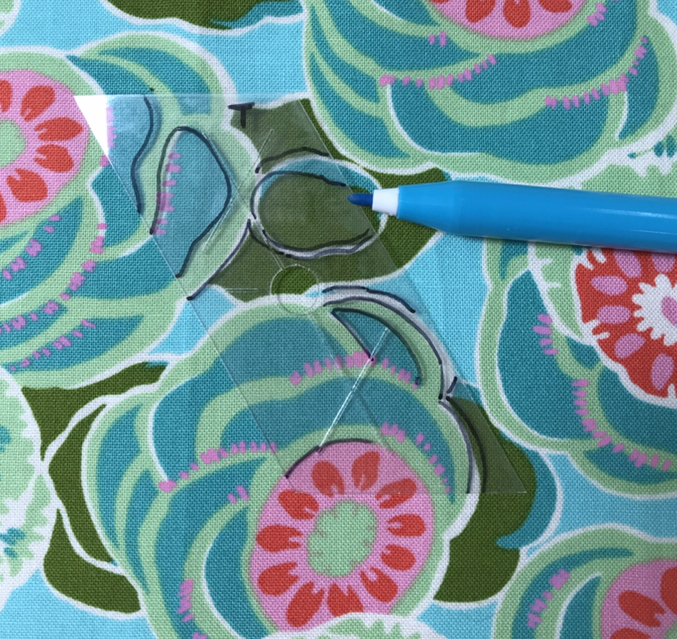 Place the taped piece on your fabric, over the particular design that you want to fussy cut. In this case - I want to put the green lotus flower in the centre of my 3 rhombi. When you are happy with the design thats showing through your "window" begin tracing with your pen, making sure you avoid the cut out circles in the centre of the Eppiflex. Youll need to trace quite a few lines of your fabric so that your mask is accurate and easy for you to use later. 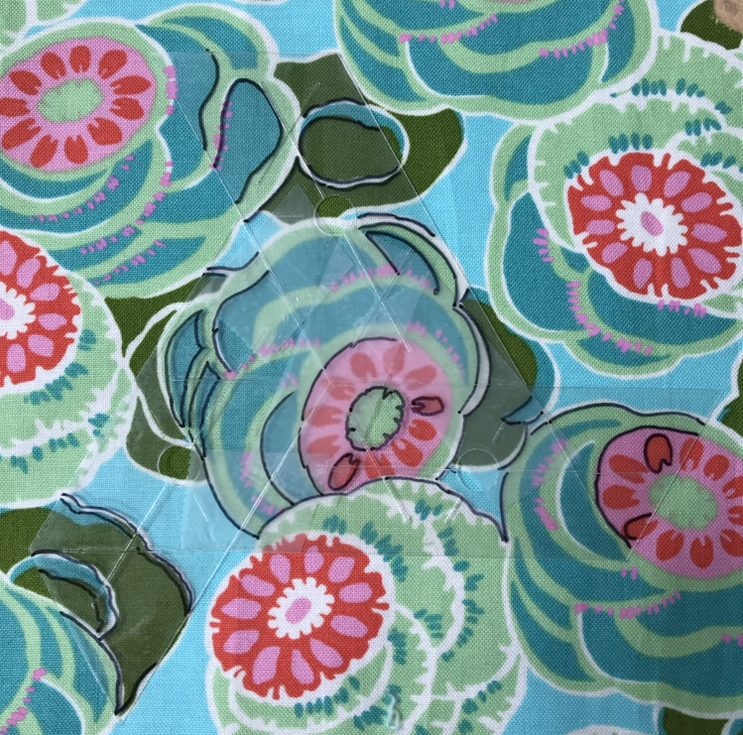 Now you need to find three of the same flower ( repeat) on the fabric. Each one will be traced around with your new "masks" that you have made with your templates. Use the blue erasable pen to trace around the template as it will just wash off later. See how the black pen marks line up with the fabric design? Draw around all the sides of the templates. Now you can attach the fabric to the templates using your preferred method. At this stage do not iron the fabrics or you will set the blue pen. The blue pen mark should sit exactly on the edge of your shape which will give you a perfect relica every time. Have a go at fussy cutting some shapes - youll never look at your fabrc the same way again! Many thanks for sharing your talent & skills.Look forward to fussy cutting out & thanks to you I will have success story & enjoy having a go.Well done Danny & thank you.